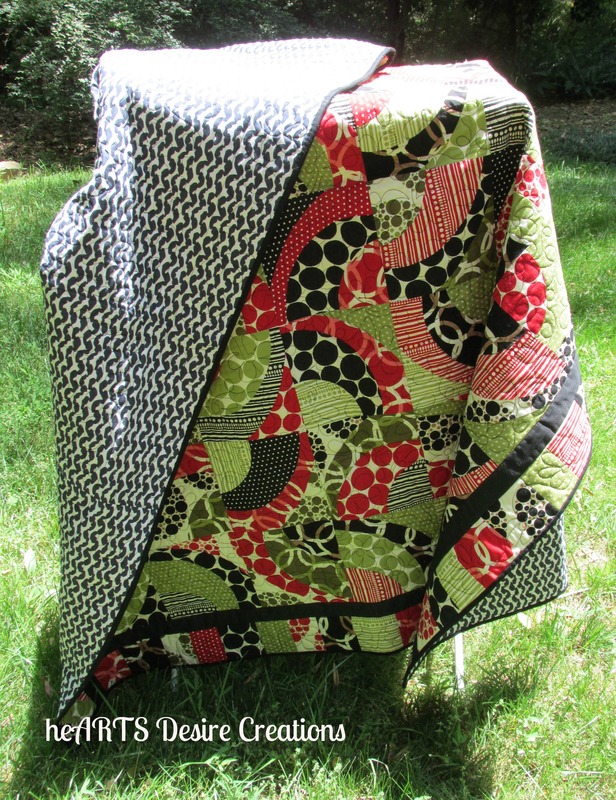 This quilt is aptly named – not only for it’s looks, but for the difficulties I experienced while piecing it. This is the Red Onion quilt pattern by Karla Alexander in her book Stack A New Deck. I resized the pattern pieces to make smaller blocks which is probably what lent to the difficulty in piecing. The first three pieces went together rather smoothly, and I really do enjoy piecing curves. The last piece (green stripes), however, caused me great difficulty. I had to resort to stretching, stomping, steaming, and more stomping! In the end however, it was worth it. I think it was the perfect pattern to use for this jazzy fabric. 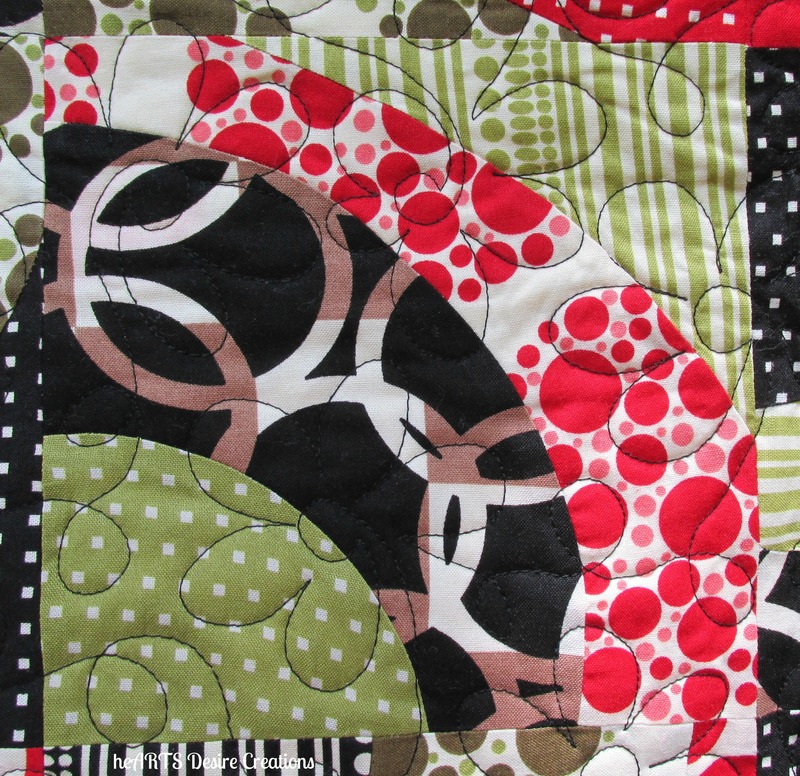 I love how the red, green, black, brown and white work together. I also chose a backing that seemed to go with it naturally. This is the only rollercoaster ride I was willing to go on and am so glad it is complete. It is also my 19th out of 20 finishes for my guild’s UFO challenge. The 20th has it’s own messy story – more on that in another post! 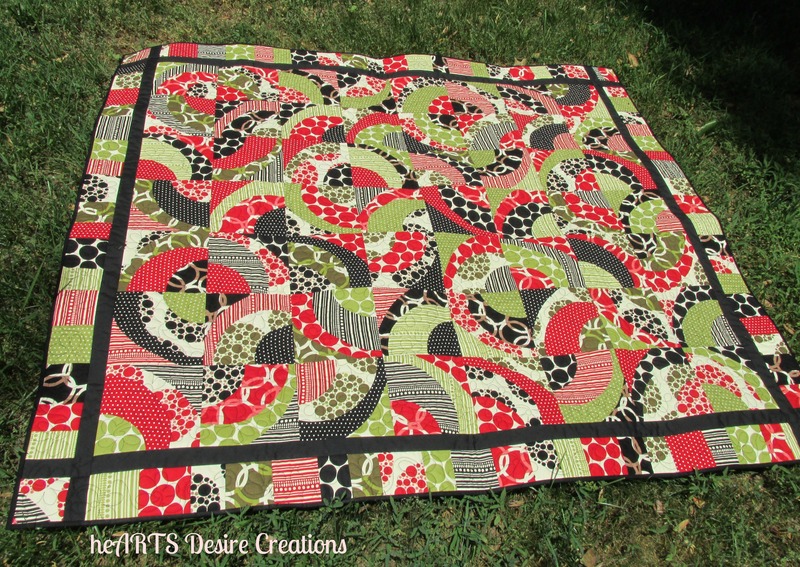 Posted in Uncategorized and tagged challenge, Color, guilds, Modern Quilting, Quilt, Quilting. Bookmark the permalink. This is such a great quilt. The stomping and the fabric choices really made it. I love it! 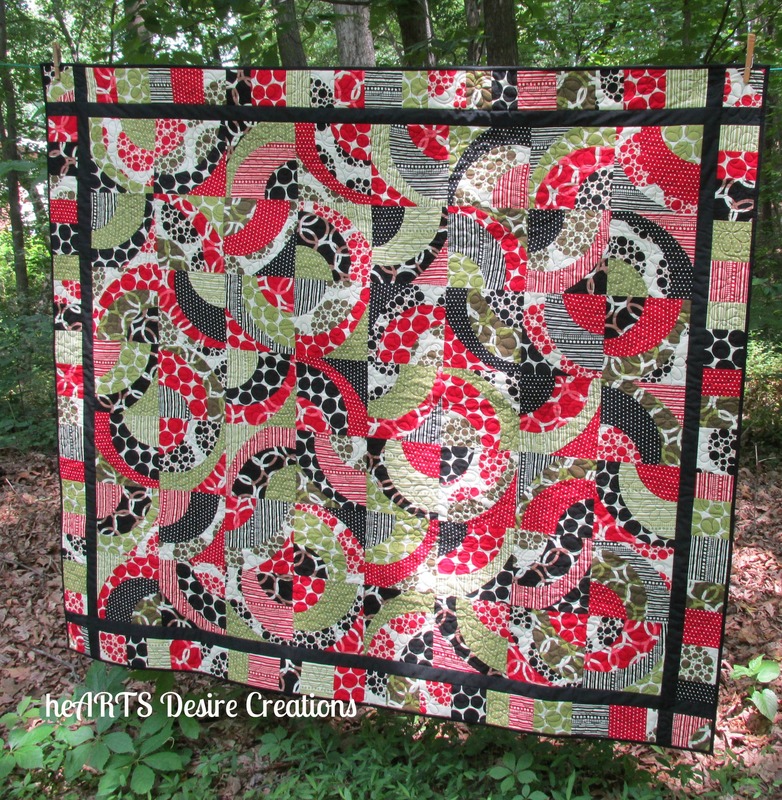 I don’t know if I would be brave enough to do all those curves, but with what a beautiful quilt this is, I might have to put this pattern in my que!